The Tipperary woman whose breast cancer was misdiagnosed three times says: If you’re not happy with treatment, go elsewhere. Barrington's Hospital in Limerick, where Olive Fahey underwent three tests for breast cancer. Each of three tests incorrectly said lumps in her breast were benign. THE TIPPERARY WOMAN whose breast cancer was misdiagnosed three times in a 19-month period – greatly increasing the treatment needed to help her overcome the disease – has advised anyone who fears they have cancer not to be afraid to change doctors if need be. Olive Fahey, who this week settled legal action against the HSE over the failure to diagnose her condition between 2005 and 2007, said: “Don’t be afraid to go to your doctor – and insist on going. “If you’re not happy, don’t be afraid to change,” she said. 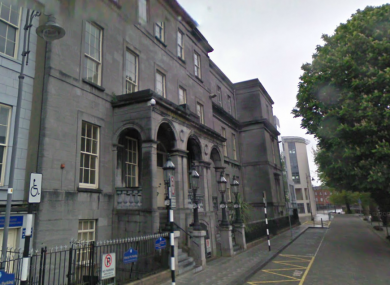 The 57-year-old was referred to Barrington’s Hospital in Limerick in September 2005 with a lump on her breast, and had tissue samples sent to Galway for testing. Each of those samples had been returned as benign, but after a third sample was sent for analysis to the Bon Secours in Cork, it was revealed that Mrs Fahey had grade 3 invasive carcinoma. Later examination revealed that the two previous samples should also have recorded a malignant state. Fahey told RTÉ’s Marian Finucane Show that she owed her life to Professor Rajnish Gupta, the regional director of oncology services at Mid-Western Regional Hospital in Limerick, who then gone “beyond the call of duty” to ensure that the cancer had not spread to other parts of her body. “As far as I know, I probably would have had radiotherapy” if the cancer had been correctly diagnosed in the first instance, but that she would probably not have needed the chemotherapy and mastectomy that she had undergone after the eventual diagnosis in March 2007. Mrs Fahey needed to undergo 30 sessions of radiotherapy and chemotherapy when her condition was finally diagnosed. The treatment was successful and she is now in remission. Fahey’s misdiagnosis led to a total review of breast cancer services at Barrington’s hospital, and into procedures at the pathology department at University College Hospital Galway where the first samples were mistakenly declared as benign. Fahey’s case against the HSE and Barrington’s was settled out of court this week. Email “Misdiagnosed cancer patient Olive Fahey: ‘Don’t be afraid to insist on going elsewhere’”. Feedback on “Misdiagnosed cancer patient Olive Fahey: ‘Don’t be afraid to insist on going elsewhere’”.